Although most churches have very similar statements of what they believe (doctrinal foundations), they can look and feel and act very differently (ministry expressions). Much of these differences can be attributed to a set of unwritten assumptions about how we view the Bible, our culture, human reason, and church tradition (theological vision). This document is intended to define our theological vision where we describe our understanding of how we express the gospel message in our culture and time in history. It also describes some resulting ministry expressions. In Appendix A you can find our statement of faith, which is unchanged. 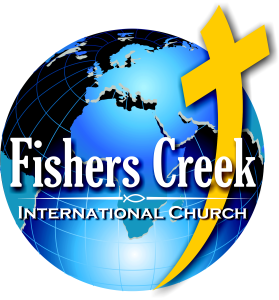 It is the hope and prayer of the Leadership Team of Fishers Creek that God blesses and uses this vision to fulfill His Will in leading men and women into a personal relationship with Him through Jesus Christ. We believe that the gospel of grace in Jesus Christ is the best news anyone could hear. It changes everything from our hearts to the community where we live. It transforms us from the inside out whereas religion is outside in. We are justified by grace alone and not by our works. We are beautiful and righteous in God’s sight by the work of Christ. We live in a post-Christian culture where few people identify with Jesus Christ as their Lord and Savior. Although the society still retains many values that are definitely Christian from the beginning like honesty, integrity, equality, individual freedom, care for the less fortunate (not materialism), etc; few people identify that pre-Christian Northern Europe was a very different place and culture. In every age and society the gospel faces challenges; one common error that is made is to say that because we are now saved, then we don’t have to live a holy, good life (antinomianism). This is often expressed as ‘God loves and accepts everyone just as they are’, which is, of course true, but it is extended to mean that there is no need to be saved from our sins and no need for the power of the Holy Spirit to transform our lives. This goes against the clear message of the Bible and core doctrines of original sin and justification. It is a key reason why having a clear statement of faith is critical to our mission of sharing the Gospel. We will not change our Statement of Faith (refer to Appendix A), but rather this vision impacts how we live it out. Swedish society has seemingly over-reacted against a strong form of religious legalism which was common up until the 19th century and which appeared to teach that you must live a good, holy life in order to be saved. In contrast, today everyone is taught that there is no need for God and that science has all the answers to live in a highly relativistic society. · The Bible is filled with divine wisdom, but it is a human document that contains errors and contradictions. · Jesus is the Son of God, but this doesn’t mean that he was the preexisting, divine Son of God. He was a great man infused with God’s Spirit. · Jesus’ death is an act of sacrificial love that changes us by moving us towards his example, but it was not a cosmic event that satisfies God’s holy anger against sin. · Becoming a Christian means to follow the example of Jesus by living a life of love and justice, but it does not involve the supernatural act of being born again. As a result, the traditional understanding of the Christian Gospel was lost and a new religion based on good works was created. Religion does not bring new life into people’s lives and today liberal Christianity is in a fast decline around the world. The error for liberal Christianity was in adapting Christianity from a false worldview. The key is to contextualize the Gospel to the culture without losing the truth and falling into relativism. Everyone contextualizes the Gospel where we bring our culture, language, and experiences into our expressions here. And the Gospel is so large that it can accept and reach into every culture and expression. The question for us is how the church should respond to the culture. One key principle is that when culture and the Bible clearly conflict, we defer to the Bible. If we reject the full authority of the Bible, we end up picking and choosing a version of Christianity that does not confront or offend when it should. We believe and will teach that the Bible is possible to interpret accurately and is understandable today. We take the Bible as our standard for doctrine and personal living. Although we should not expect that Swedish culture will change quickly, we believe that it is fundamentally good and redeemable. Based on our assessment of this question and the fact that we live in a clear post-Christian time, a vision that leans towards being Counter-Cultural is needed to bring revival. Of course, there is a balance here where the Church interacts with society and we must find ways to express our Christian lives at our public places of work, in schools, and where we have other social interactions. Some areas where we can focus on being counter-cultural: human sexuality, divorce, respect for authority including parents and the Church (individualism vs. community), male and female distinctions (defining God-honoring masculinity and femininity), and that science and Christianity are not mutually exclusive (you can be intelligent and a Christian). However, we must not return to legalism, but instead keep our focus on how the Gospel transforms our brokenness in regards to these areas. We don’t get right with God by living right; it is only through Jesus’ death on the cross where the penalty for our sins was paid. We also must not err by becoming too separated from our culture that we do not interact with non-believers. · A new apologetic that takes on the so-called neutrality of secular reasoning. [The church must confront the idols in the society]. The church must also become better at helping people to understand the very basic Christian concepts of God, sin, and redemption. Just using these words is not enough for people today to fully understand them. It usually takes time, many small interactions with Christians and the Church, and small decisions towards faith. We should expect people at various stages of faith to be involved in most aspects of the church’s life and ministry. Missional evangelism is typically a process since most people do not have the necessary background knowledge to hear the Gospel and to immediately understand who God is, what sin is, who Jesus is, and what repentance and faith are in a way that enables them to make an intelligent commitment. Therefore, many people need to be welcomed into community long enough for them to hear multiple expressions of the gospel both formally and informally. In Sweden and all of Europe, there is another cultural dynamic that must be understood. Most people do not believe in Jesus Christ as their personal savior and the question rises “Well, how could so many people be wrong?” Christianity is a faith that claims to have THE TRUTH. We believe and will defend the traditional Christian faith and believe that when put to the test, Christianity rises above all other world views in regards to human reason. In the Third World, miracles involving healing are common and we recognize that God does reveal Himself in that way today and are open to Him doing so in Sweden. However, with such a good medical system and with easy access in Sweden, we believe God will also use other ways. Because of sin in people’s lives, most people have experienced failed relationships and the pain of not living according to God’s plan as expressed in the Bible. Psychological healing by the Holy Spirit which is supported by mature and trained believers in the church can be another way. We also recognize that just trying to live according to the Law of Christ (loving God with all our hearts, minds, souls, and loving our neighbors as ourselves) is not possible without the supernatural power of the Holy Spirit living inside us. If people in our community could grow in maturity to that end, non-believers would experience Fishers Creek as a loving community which really is supernatural and then we can give all the credit to where it belongs – Jesus Christ. To support this, we believe that being very intentional about making mature disciples of Christ will be a key component of our ministry expressions. When we evaluate our current ministry expressions against this theological vision, we see many areas staying the same and some new activities to be started. In addition, this vision can be implemented by any community of believers and we also pray that new faith communities of followers of Jesus are started. · New potential Courses: Membership, Alpha, Marriage, Parenting, Counseling. It will be important that we find ways for new people to get involved at Fishers Creek. · New Outreach: finding ways to be a positive witness to the society, but our first priority is to church members. We must be careful not to get consumed by activities that get in the way with building relationships with non-believers. 1 Timothy Keller, Center Church: doing balanced, Gospel-centered ministry in your city (Grand Rapids, MI: Zondervan, 2012), 92. 2 Lesslie Newbigin, “Can the West Be Converted?”, International Bulletin of Missionary Research (January 1987): 2-7. 3 Timothy Keller, Center Church: doing balanced, Gospel-centered ministry in your city, 281-282.